Its International Women's Day and I am here to salute the women who have touched my life in more than one way, shaping and reshaping, until I became who I am today: a person who believes in God, good and the just. I salute my mother Renuka who first gave birth to me and then, when, at 12 month's age I was sick and my relatives said there was no point in saving a girl child, my mother ran wild, found an old doctor with good skills but little resources. He performed a crude surgery on me that defeated death. And thus, she gave me my life twice. Ma gave me more. She taught me about mother earth, the need of nature conservation and how to nurture plants. She told me two things: 1) "never, ever give up your economic independence" and, 2)"all humans are same, respect them irrespective of their caste or religion." Thank you Ma, for teaching me to be a human. 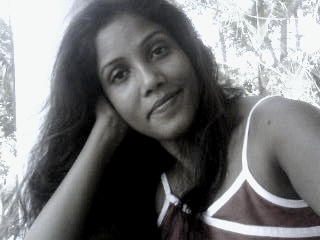 I salute my best friend Amruthavalli who lost her father at an early age and was enslaved by her own uncle. Starting there, she is today a senior journalist with the ETV media group. Life has always been a walk on fire, yet this woman has never thought twice to help one in distress. From feeding the hungry street mongrels to helping debt-trapped relatives clear their loans to buying chocolates to distribute among slum kids without a reason - she spreads joy and smiles all around. And, when my father died 4 years ago and I had no money to go home, she was the only one to help. I learned the value of relationship from her! I salute Mary Murmu - a Santhali tribal nurse in Jharkhand who despite being very poor, would distribute free medicine among her villagers. 'What is the point of being a nurse if I can't nurse my own neighbors?' she said. I learned selflessness from her. I salute Bhan Sahu - a social activist in Chhattisgarh who has experienced all the evils in life - poverty, starvation, molestation, insults, threats on life and still is a firm believer in a better world and a better future. I learned optimism from her. I salute Sukahntibai - a women sarpanch who lives in a thatched hut without water and toilet, but toils to ensure other villagers have those facilities that she doesn't. I learned leadership from her. I salute Buwai - a dirt poor Muslim woman in Tripura who cleaned others yards to survive, who would be treated as an untouchable, but when a neighbor fell sick, gave away her precious chicken to help her recover. I learned true love from her. I salute that nameless woman in Tibet who gave me shelter on an wintry night, without knowing anything about me. She taught me to believe. I salute the woman in Uttarakhand, who took me in her house when, as a traveler, I was down with chicken pox and gave me so much care. I learned to broaden my heart from her. I salute the neighborhood grandmother in Assam who told me about ghosts, fairies, fishermen, rivers, trees, gods, tigers and lotuses. I learned to love my history and culture from her. Finally I salute Renuka didi - our domestic help in Goa, who gave me insight into a migrant worker's life. I salute Yallamma, adivamma and Sushila - women who sweep the streets in my neighborhood and cheer me when I go for a run in morning. I salute my sisters in World Pulse - an army committed to bring gender equality and you, my readers, who have cared enough to read this far. May your life be full of colors of equality and love!